More than five years after a major earthquake violently shook Haiti, one can still see evidence of the destruction. Rubble piles still litter the country and many structures have yet to be rebuilt. The human cost of that catastrophe is what keeps Sr. Brigid O’Mahony going back to Haiti, where she cares for those who lost family members and need medical care in the recovering Caribbean country. But she does not travel alone. 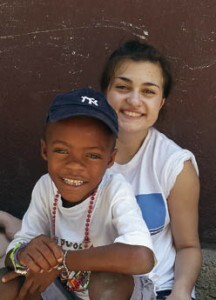 Along with members of her religious community, the Missionaries of the Heart of Jesus [MHJ] based in Binghamton, she shepherds around 20 Seton Catholic Central High School students through annual mission trips, which this year have increased to two. Sr. Brigid is a full-time faculty member at Seton and also the campus minister. 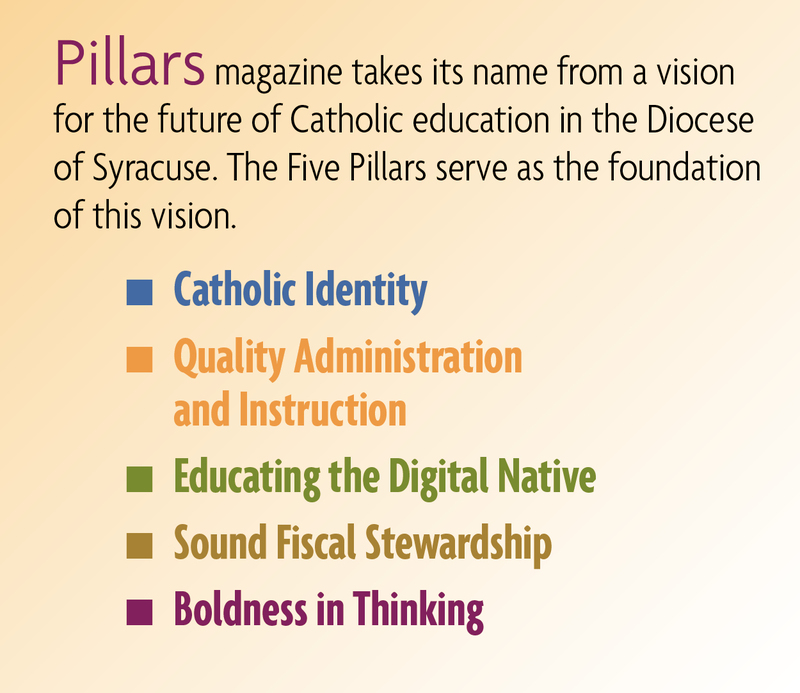 According to Danielle Cummings, chancellor/director of communications for the Roman Catholic Diocese of Syracuse, Sr. Brigid is the only Catholic sister who serves as a campus minister in the entire diocese. 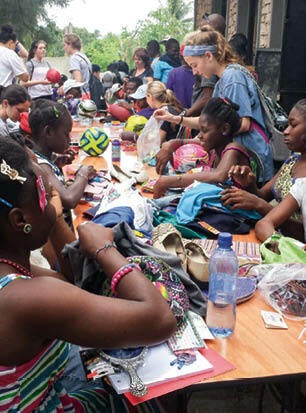 Students from Seton Catholic Central High School take an annual mission trip to help the people of Haiti. She took a group of students this past November and will take another in February 2016. The November trip focused on helping orphaned children. “From running baseball camps to medical missions, always we’re with the children,” she said. The reason for doubling up on Haiti trips this year? 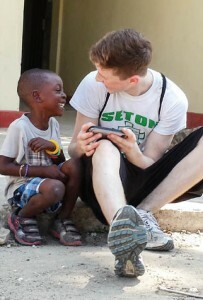 An outpouring of interest from Seton students who want to go into the mission field and help. Sr. Brigid said students commonly begin saving money for their Haiti trips up to two years before they’re eligible to participate. Like typical missionaries, the students pay for their travel themselves. To cover costs for their February 2015 mission, Seton students hosted a basketball-related fundraiser—a “Hoops for Haiti” foul-shot competition—and they also asked for donations via a GoFundMe campaign. Sr. Brigid said any funds raised beyond those that cover travel costs go directly back to the Haitian people they serve. The MHJ sisters have expanded their original focus on helping only orphans and widows and now also help Haitian women start up their own businesses. They also work alongside Mother Teresa’s Missionaries of Charity at both a home for the dying and a hospital for sick babies. “I guess we end up doing whatever the Lord gives us to do,” she said. The Seton student missionaries who will travel to Haiti in February 2016 will assist at those medical clinics. They also plan to help a widow finish building her house. New York. She recently published her first historical novel, Panther Mountain: Caroline’s Story.